Q. 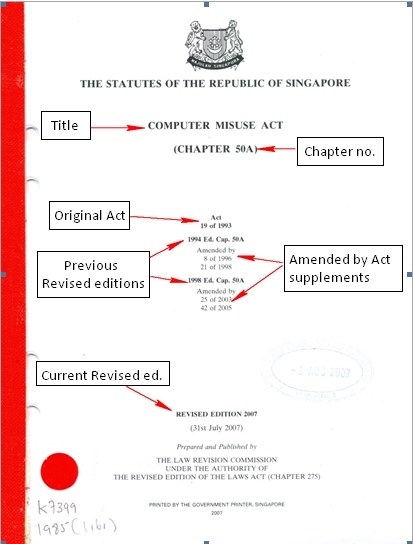 Where do I find the latest revised editions of the Singapore Acts? Latest revised editions of Singapore Acts (print copies) are kept in the LW RBR collection (behind the Loans Desk). 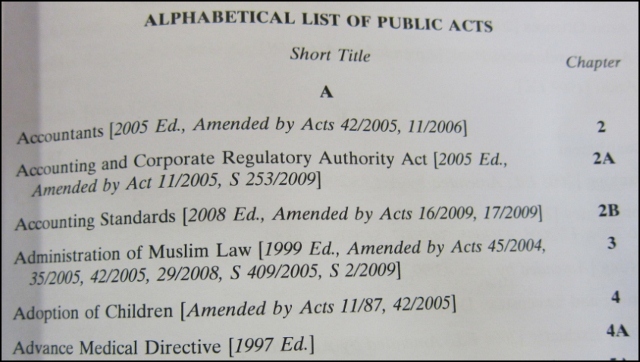 These are the authoritative versions of Singapore Acts. Find out the chapter number using the alphabetical index kept at the Loans desk. Please request staff at the Loans Desk to retrieve it from the RBR shelf. RBR materials can be loaned out for 2 hours. Refer to the information on the cover page. 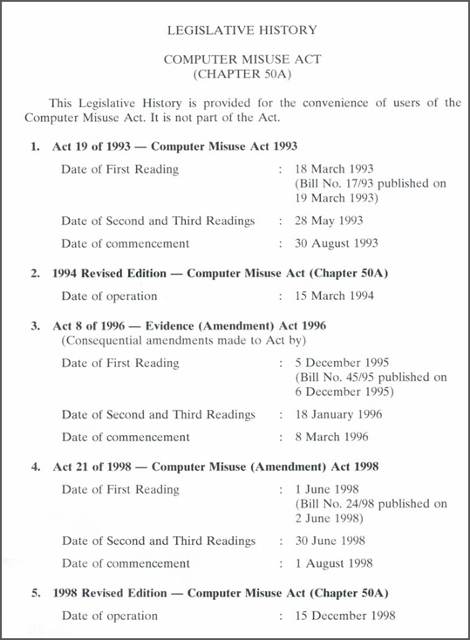 The legislative history of the Act can be found at the end of the Act.